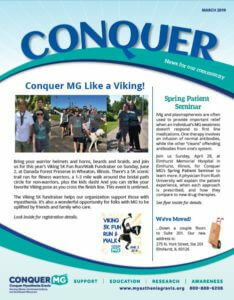 Here are past issues of the Conquer MG newsletter Conquer and the e-newsletter MG Minute. Issues contain profiles of myasthenia gravis patients, the latest research news, and other valuable MG information. 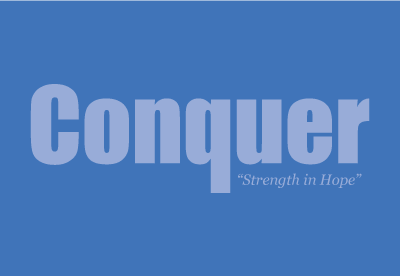 Click the image for the March 2019 issue of Conquer. Information on this page updated March 2019.